Most people know that it is recommended by the British dental Health Foundation that you should brush your teeth for two minutes morning and night. But it’s not obvious what this brushing is doing other then cleaning your teeth. The health of your teeth and mouth can have profound effects on the rest of your body. For instance the Australian Dental Journal published an academic paper titled ‘Correlation between the severity of periodontitis and coronary artery stenosis in a Chinese population’. Coronary artery stenosis is another way of saying coronary heart disease and this occurs when plaque builds up causing a narrowing of your coronary arteries, decreasing blood flow to your heart. Eventually, the decreased blood flow may cause chest pain (angina), shortness of breath, or other coronary artery disease signs and symptoms. A complete blockage can cause a heart attack. Periodontitis is a serious gum infection that damages the soft tissue and destroys the bone that supports your teeth and is often described as gum disease. The above study found compelling evidence from the 853 patients taking part in the study that the extent and severity of coronary artery stenosis (coronary heart disease) in Chinese patients was positively correlated with the severity of periodontitis. Whilst this study was carried out using Chinese patients there is an abundance of evidence that this is replicated in the wider population. It is truly amazing to think that the health of your teeth can positively affect your overall health. Further studies have found good evidence that there is a link between mental health and the condition of your teeth and mouth. Once you start thinking about what your mouth and teeth go through every day it is little wonder that it may be a barometer for your overall health. For me the lesson is to look after your teeth more carefully. Spend those two minutes every morning and night. Attend the dentist for 6 monthly check-ups. Go more often if you regularly see blood when brushing. 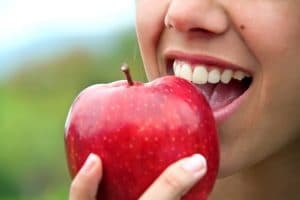 You will give yourself the best chance not only to keep all your natural teeth but also to maintain good overall health. We in the Dental Negligence Team can help you if you feel that your dentist has failed to spot signs of tooth decay or gum disease. If this happens you may well find yourself facing a large bill for treatment that you thought you would avoid by maintaining good oral health.